Sizakele ‘MaKhumalo’ Khumalo is Jacob Zuma’s first wife and, according to African culture, she must give consent before her husband can take another wife. 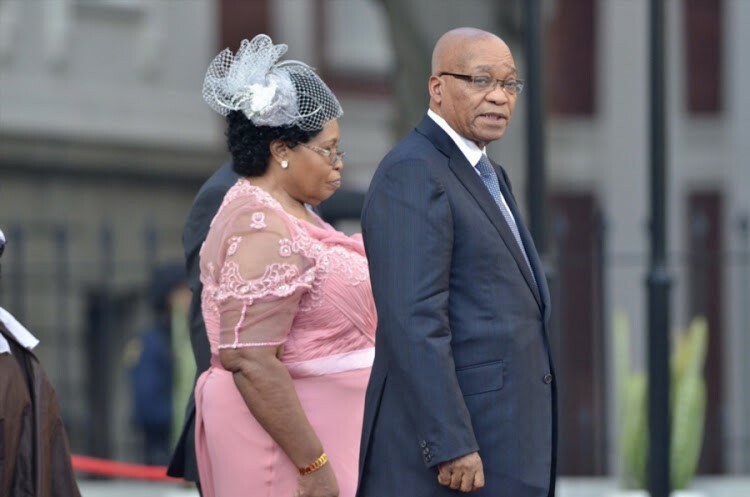 Jacob Zuma’s first wife, Sizakele Khumalo-Zuma, only discovered that her husband had planned to take a seventh wife when the news broke in the media. The Sunday Times has established that Sizakele Khumalo, who is known as MaKhumalo and is Zuma’s first wife, has accepted his relationship with his bride-to-be, Nonkanyiso Conco. Zuma, the Sunday Times has learnt, was going to tell her but the media had jumped the gun. “MaKhumalo accepted it even though it was painful,” said an insider. It remains a secret how much Zuma paid as lobola for his next wife. A source close to the families said Zuma had paid the cash value of 15 cows, but this could not be independently verified. MaKhumalo is Zuma’s first wife and, according to African culture, she must give consent before her husband can take another wife. Zuma married MaKhumalo in 1973. He is also married to Nompumelelo Ntuli-Zuma (they are estranged), Tobeka Madiba-Zuma and Bongi Ngema-Zuma. He and Nkosazana Dlamini-Zuma, now minister in the presidency, divorced in 1998. Another wife, Kate Zuma, committed suicide in 2000. Zuma’s brother Joseph said he had spoken to the former president about his bride-to-be and he had confirmed that they were in a romantic relationship. “I spoke to him directly and he explained that she is his and he does not have any problem with the family,” said Joseph. “As a family we don’t have a problem with their relationship,” said Joseph Zuma. “We’re very happy. My brother likes women and he is an isoka [a man with an uncanny ability to win the hearts of many women], like myself. We take after our grandfather, who also liked to charm women,” he said. A family insider said it was unlikely that Zuma and Conco would marry this year because his son Mxolisi Saady Zuma, who has already paid lobola for Swazi princess Ziyanda Dlamini, will have to tie the knot first. “It’s definitely not this year. Saady will have to get married first because we have already sent izibizo [gifts given to the bride’s family] to Swaziland. Shayimamba Conco, the family’s spokesman, would not be drawn on how much lobola Zuma paid for his wife-to-be. “I wish to confirm that lobola was paid, and timeously in accordance with our practices and culture. Our family have kept this matter and their relationship private and to this end information regarding lobola payment has only been known to the appropriate members within our family,” he said. Zuma’s spokesman, Vukile Mathabela, said he could not comment on the relationship because it was a family matter.